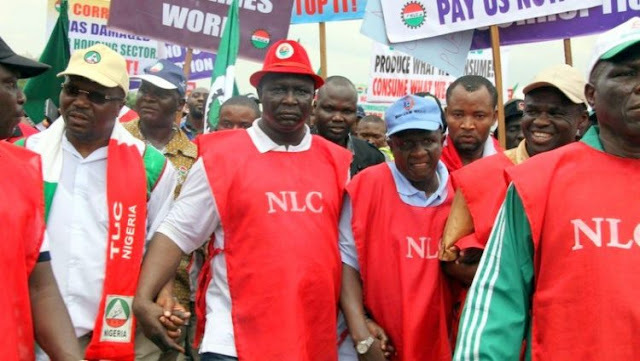 The Nigeria Labour Congress (NLC ) has condemned threat by the Nigeria Governors Forum (NGF), to sack workers if the new national minimum wage of N30,000 is implemented. Mr Ayuba Wabba, NLC President, in a statement issued on Thursday in Abuja, said the threat was not new. Wabba was reacting to the statement made by the Chairman of NGF, Alhaji Abdulaziz Yari, governor of Zamfara, threatening to sack workers on the account of the new national minimum wage of N30, 000. He said that the process of negotiation by the tripartite social partners for a new wage has ended and a new National Minimum Wage of N30,000 agreed upon by government, labour and employers in the private sector. “ Few political office holders are bent on enslaving Nigerian workers with peanuts mislabeled as salaries. “Pro rata with the minimum wage they want to force down the throats of Nigerian workers, ‘’he said. Wabba urged each of the state governor to go to their respective state and inform workers on their individual position on the new national minimum wage of N30, 000. “ At the National Minimum Wage Tripartite Negotiation Committee, state governments were represented by six states, one state from each of the six geo-political zones.